It has been believed for years that James and Sarah (Fouace) Nourse spent the last few years of their lives in, and in fact died at, Hammond-Harwood House in Annapolis, Maryland. However, I recently received information from Brian Lang, museum curator of the Dumbarton House in D.C., that indicates that this idea is inaccurate -- understandable, but inaccurate. 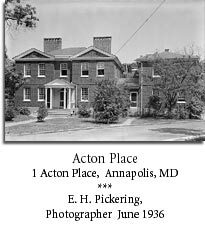 Following is a brief excerpt from Brian's letter outlining the details behind the new belief that the Nourses actually occupied another Annapolis home called Acton Place. 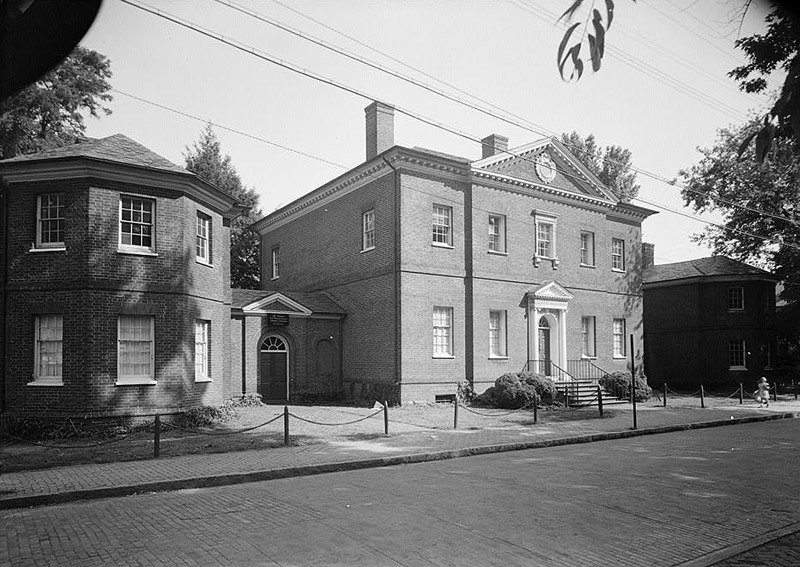 "...Early researchers located the reference that Sarah and James Nourse rented the house of Mr. [Matthias] Hammond while Nourse served the Confederation Congress during its tenure in Annapolis at the Maryland State House. Thus, for some forty years, our interpretation revolved around the magnificent house built by Buckland for Hammond, and dwelt in by the Nourses." "The reference relied upon was a notation from James Nourse's journal which stated that he was renting 'Mr. 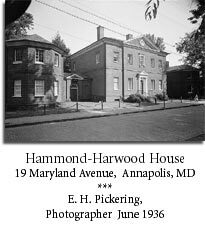 Hammond's elegant house...near the city of Annapolis,...on the water...' Given that Annapolis's colonial 'downtown' huddled about the Market House at the dock, and that the Naval Academy has been responsible for vastly increasing the land on the east side of town out into the Severn River, no one had trouble accepting that Hammond-Harwood House sat outside of Annapolis near the water in the 1780s." Suddenly it all made sense. 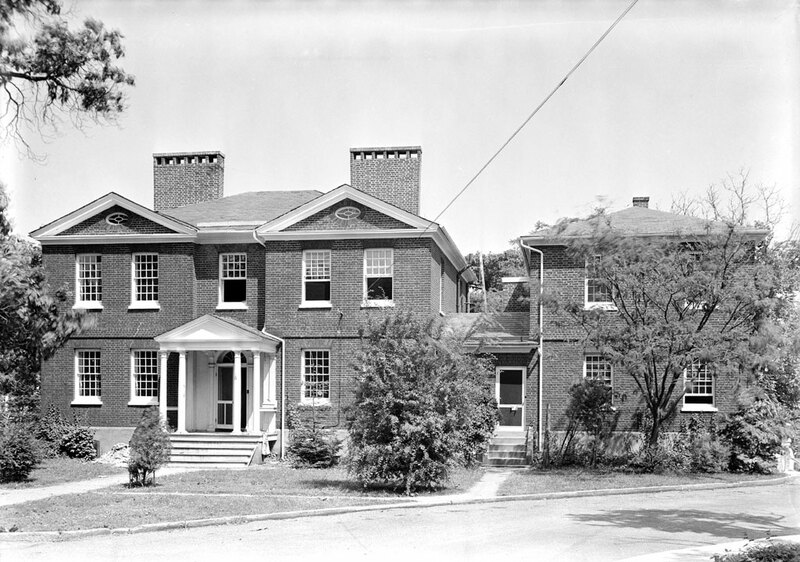 Matthias Hammond's brother, John (1735-1784), owned the elegant Acton Place, which does indeed stand just on the outside of the original city limit, and its elegant gardens back down to the Spa Creek, a tributary of the Severn." Considering this new information, it would appear that many of us have been making pilgrimages to the wrong location for generations. While this type of news is often difficult to hear, I personally find it exciting and liberating to know that ongoing research can shed new light on our family's history. For me this is a new chapter in the James Nourse history book that deserves additional attention and investigation. As I find out more, or discover additional information about the Nourses' connection with Acton Place, I will certainly post it here. Below is a link for a PDF document containing a photo, blue prints, and some additional information on the final residence of our beloved ancestors, James and Sarah Nourse. My heart-felt thanks to Brian Lang for passing on this important information. If you would like to know more about the Dumbarton House or contact Brian directly, please visit the Dumbarton House website. were obtained from the Library of Congress' "Built in America" website. © Copyright 2005, DSP, LLC. All rights reserved. Contact Scott Nourse with questions or comments.